Not at all fazed by the photographer's parked car. 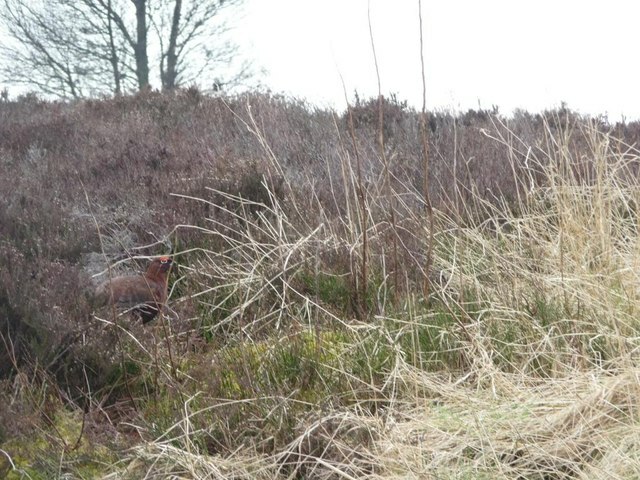 The red grouse is a medium-sized game bird. It has a plump body, a short tail and a lightly hook-tipped bill. It is reddish-brown, with its legs and feet covered in pale feathers. Birds breed in the UK in the uplands of the north and west and are resident all year round, travelling very little in their lives. The population of 230,000 breeding pairs is declining, perhaps linked to diseases and the loss of heather moorland.